If you didn't know already, Beckett's room has now been moved.......downstairs and has already changed themes! I never even got a chance to post pictures of his firetruck room before it transitioned to the Star Wars theme that I'm in the midst of decorating now! More about that later..... We thought it would be best to have him on a ground floor as opposed to the top floor, so we've turned his nursery into a small sitting room. Most everything you see here was recycled and at some point had a home somewhere else in the house. 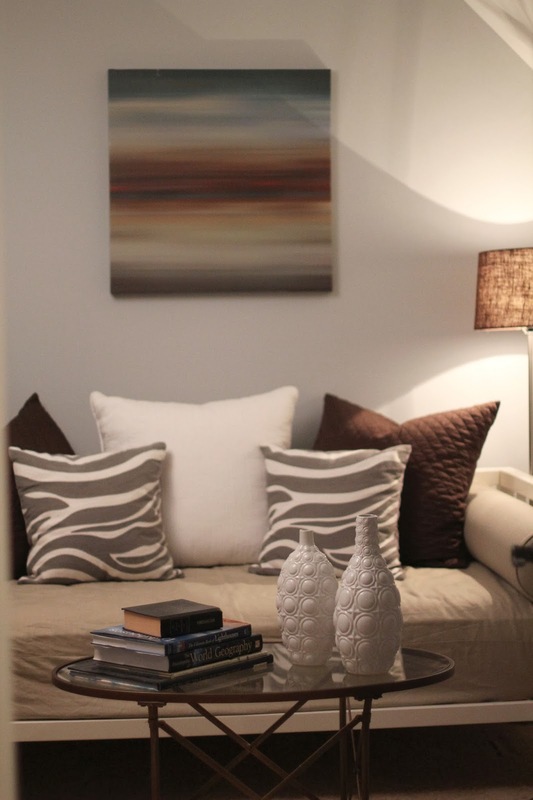 The print and pillows were my friend Danielle's. 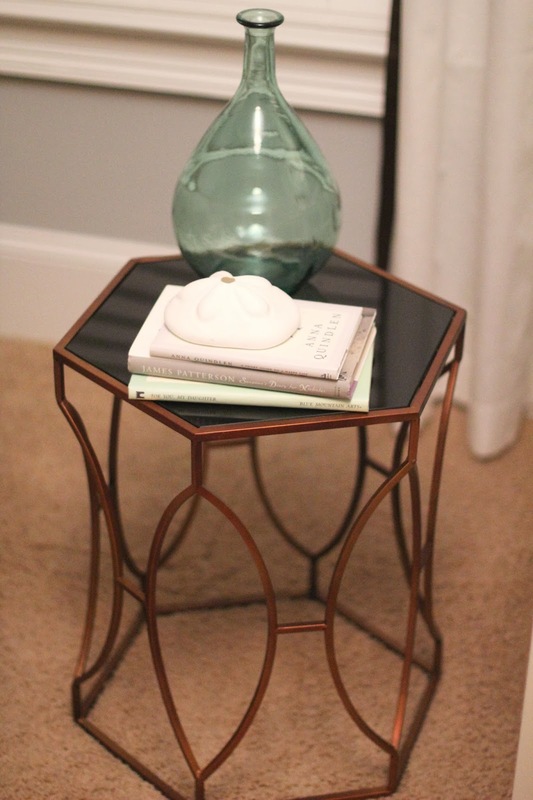 Fantastic little side table from Ross for only $29! Can't beat that! I'm still in the progress of finishing up this room, so you'll only get to see one corner for now!